I have been using essential oils for years, but I hadn’t found “my perfect match” essential oil company until recently. I can’t tell you how thrilled I am to be working with Rocky Mountain Oils. Their quality exceeds expectations, and their prices are fantastic. I love that I can order a single oil or 10 oils any time. No commitment. No membership. No middle man. Today, Rocky Mountain Oils (RMO) introduced their Kids Line, a line of essential oils diluted with fractionated coconut oil so they’re safe to use on kids (2 and older), and conveniently packaged in roller bottles for easy application. 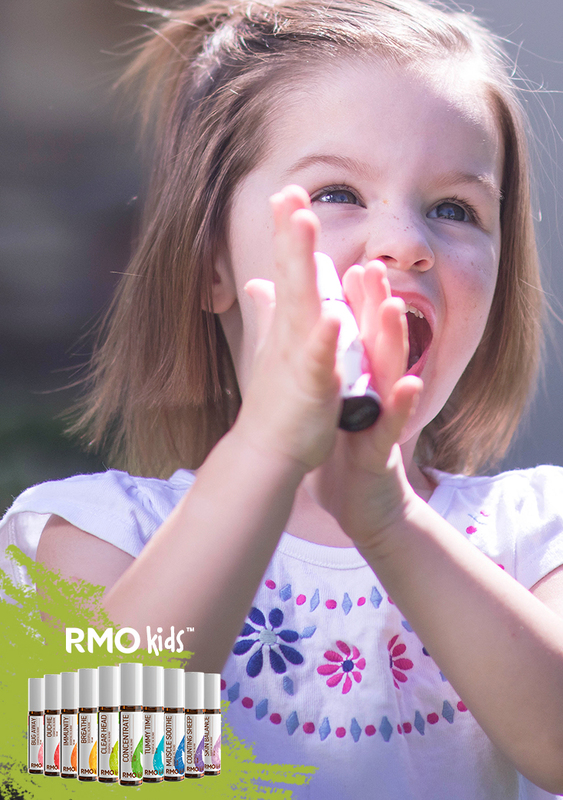 Find out about the RMO Kids Line Launch! PS – I know this is the Kids Line, but I swear I am using these rollers just as much as the kids are! You can create your own RMO Kids Line Kit using the Buy 3 Get 1 Free discount. Choose any three Kids Line blends (or multiples of your favorite blend) and then click “Select Your Free Gift” in the shopping cart. Note that this offer may end, so don’t delay! 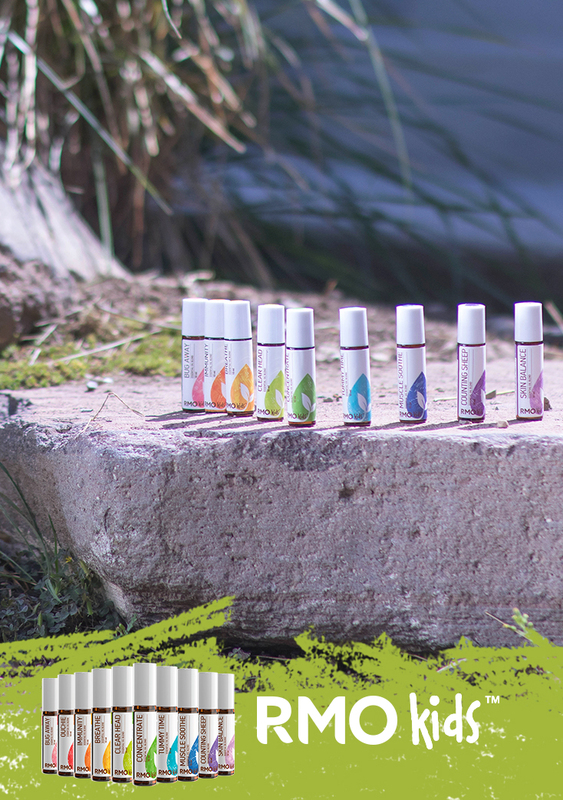 Want to WIN some free oils from the new Kids Line? Check out the details below for 10 chances to win the entire Kids Line! Which oils are you most eager to try? Disclaimer: The statements contained herein have not been evaluated by the Food and Drug Administration. Neither Rocky Mountain Oils nor its products are intended for the purpose of diagnosing, treating, curing, or preventing any disease. If you are pregnant, nursing, taking medication, or have a medical condition, consult your physician before using these products. Like that idea of eliminating the middle man. So do I! That’s one of the things I love about RMO. :) It helps that their oils are amazing, too.